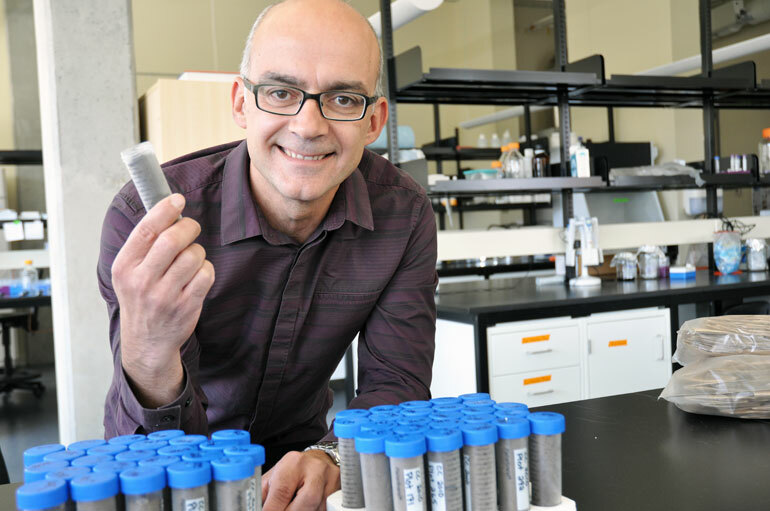 Professor John Klironomos, Associate Dean of Research and Fellow with the Royal Society of Canada, will emcee Nobel Night at UBC’s Okanagan campus December 10. When: Thursday, December 10, at 7 p.m.
One may wonder what malaria, round-worm, peace in Tunisia, and DNA repair have in common. They are all connected to 2015 Nobel Prize winners. And as is tradition at UBC’s Okanagan campus, on December 10, the night the Nobel Prizes are presented, a group of UBC researchers will discuss each prize and the science, or art, behind this year’s winners. This year, the Nobel Peace Prize, presented in Oslo on December 10, will be awarded to National Dialogue Quartet for its contribution to the building of a working democracy in Tunisia. Meanwhile, Nobel prizes for physics, chemistry, physiology (or medicine), literature, and economics will be presented in Stockholm the same day. Prize winners include, William C. Campbell and Satoshi Ōmura for their work in examining infections caused by roundworm parasites, and Youyou Tu for her work in a new therapy against Malaria. The Nobel prizes are celebrated at UBC’s Okanagan campus as a panel of distinguished professors from the university will discuss this year’s Nobel Prize-winning contributions, and explore the what, how, and why of the world’s biggest discoveries and ideas. The Nobel prizes are awarded each year on December 10, the day Alfred Nobel died in 1896.